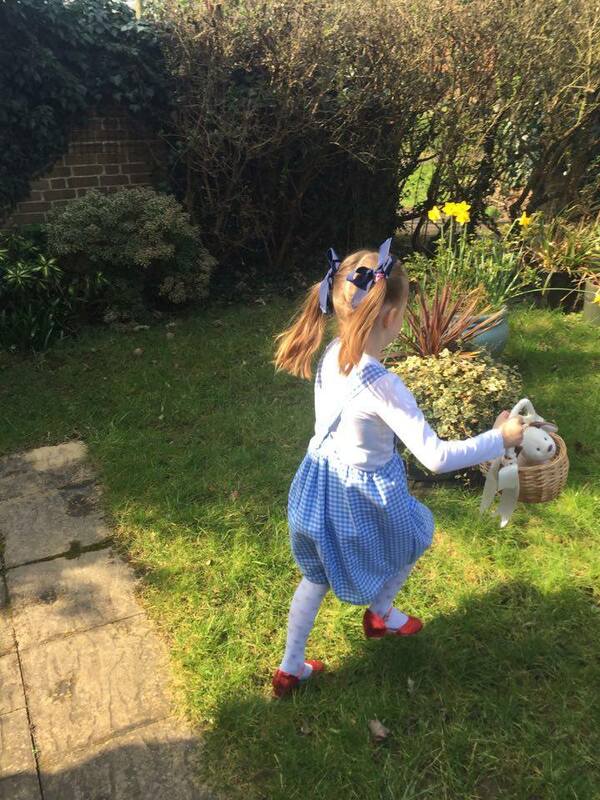 What's Mummy Up To ...: What Are My Amazing Readers Up To? What Are My Amazing Readers Up To? So, I thought it was about time I again shared some projects from some of you beautiful readers who have used my tutorials to create stuff. I'm still absolutely astonished that people would even bother to read my posts, but it puts the biggest smile on my face when I receive emails or Facebook messages from people who show me what they've made. Go ahead ... keep sending those pics to me. I really love to hear from you. Today I thought I'd focus on two such projects from just the last few weeks. 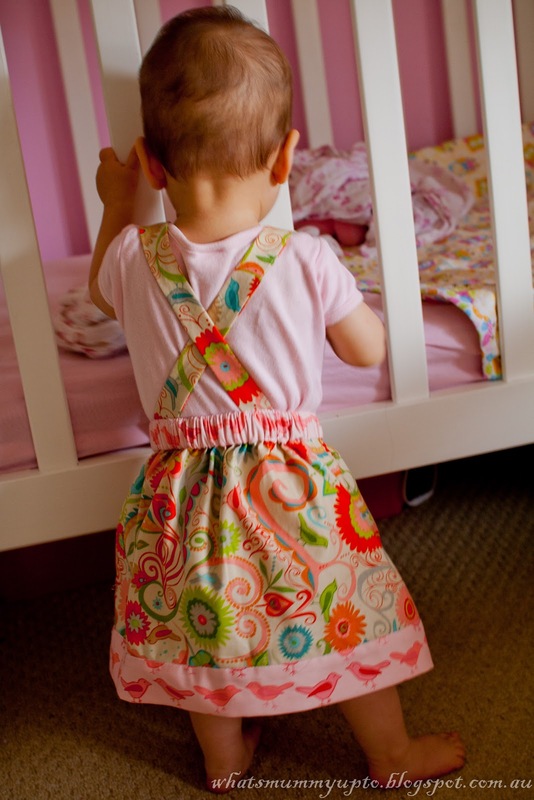 Both of these readers have used my Little Birdie Pinafore Tutorial. Do you remember this one? My, check out how little Hannah was, and she really did have hardly any hair for the longest time!! Where do the years go? Sigh! Anyway, this was one of my earliest tutorials, and definitely one of the most popular that's still being found and Pinned regularly these days. 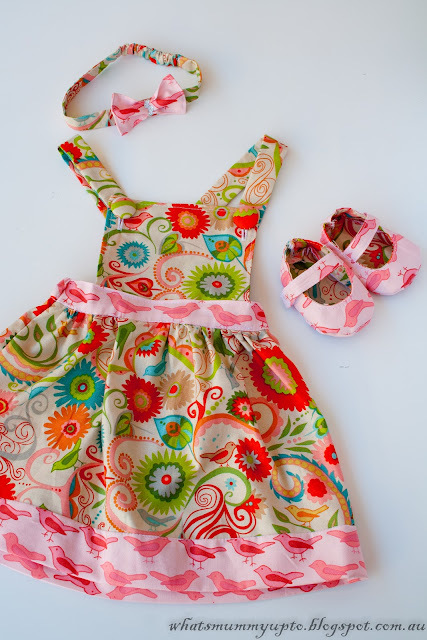 It is a fun, quick sew, and I've made probably 5-6 of these over the time since that post. Most of them have been to use as a Dorothy dress-up, because it's a good one if you need a dress-up tomorrow and don't have a huge amount of time. Couple it with some red shoes and a Toto in a basket, and off you go! 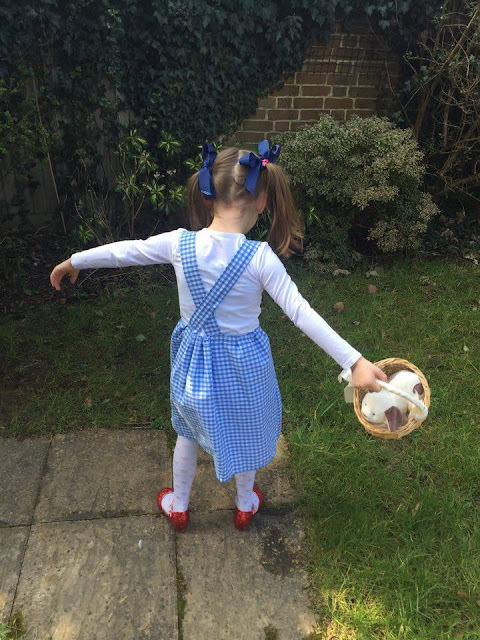 And a Dorothy dress-up is exactly what the amazing Sarah-Jane has made for her beautiful little one. Check it out!!! 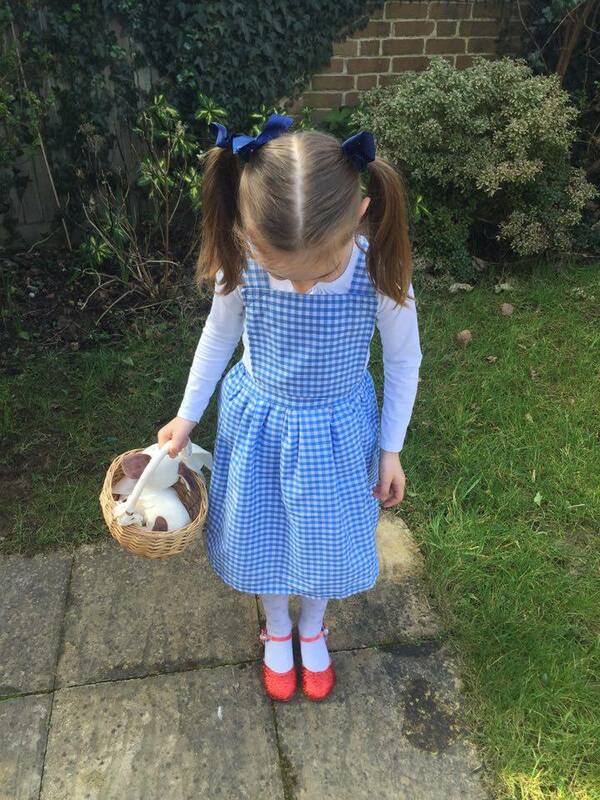 Sarah-Jane was so kind to send me a bunch of pictures, and I think this little costume is just divine. And did you notice the shoes!!!!!! 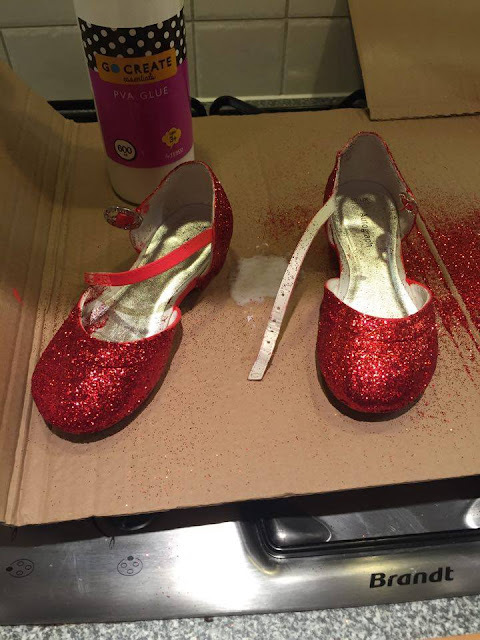 Sarah-Jane actually up-cycled a pair of shoes into sparkly ruby slippers. Swoon!!! So, so cool! Thank you so much for sharing this creation with me Sarah-Jane. And take a look at this beauty from the lovely Carly. She has made two of these pinafores. One for her daughter and another for her niece. That flamingo fabric is to-die-for, and the lace ... oh my ... the cuteness! 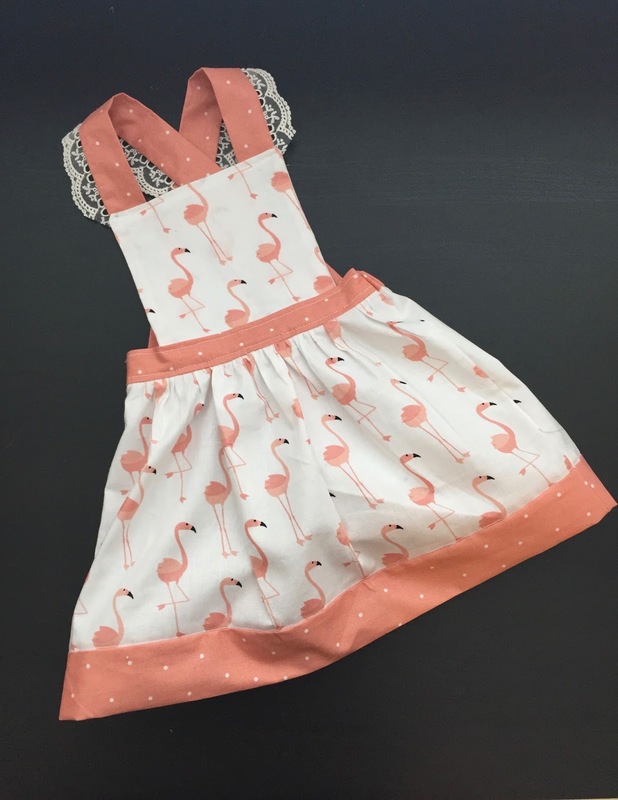 I love how Carly has managed to coordinate the pink and white spot fabric exactly with the flamingo colour. It couldn't be more perfect, huh! Thank you Carly for sharing this little piece of gorgeousness! Oh, and if you've used any of my tutorials or recipes to make something, I'd love to see a pic. You can contact me via email or on Facebook any time.